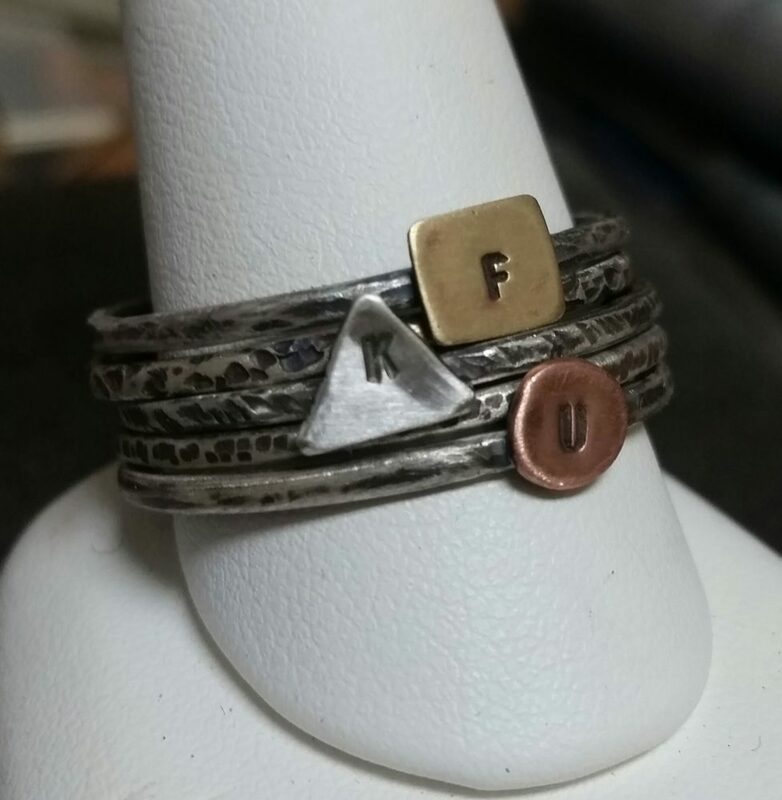 Learn how to make a set of stacking rings you can wear individually, independently, or mix n match. We’ll use sterling silver wire to make 5 ring bands, which can be textured many different ways. We’ll then use copper, brass, or sterling silver sheet to cut out a couple of tiny shapes to add to the bands. You can texture them, stamp them, or leave them blank. There are a multitude of design possibilities.